The mere election of Abraham Lincoln pushed seven Southern states to secede. Distinguished soldier and military strategist Robert E. Lee was offered command of the U.S. Army two days before he was chosen to lead the rebel army of Northern Virginia. Elizabeth Van Lew, a wealthy spinster who lived in the Confederate capital, feigned craziness to mask her activities as one of the Union's most effective spies. Robert Smalls, a slave, absconded with a Confederate ship, went on to pilot ships for the Union Navy, and was elected to the U.S. House of Representatives after the war. 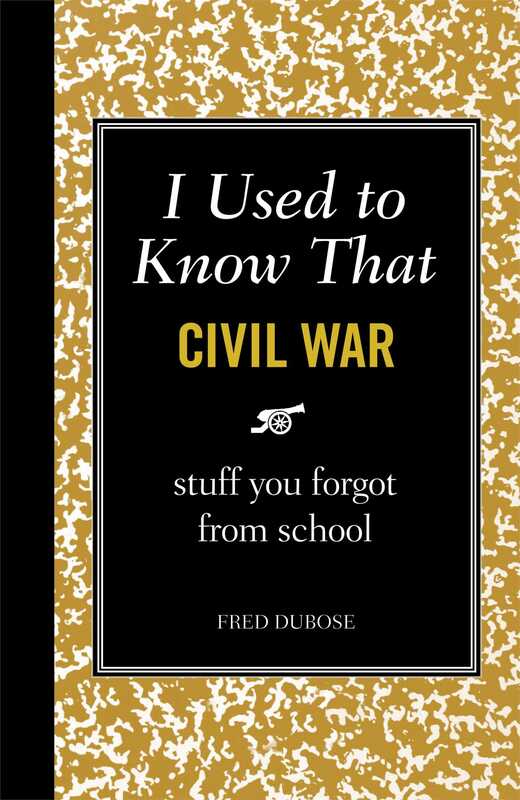 Author Fred DuBose takes you beyond the history book and in a lively style brings to life colorful stories that include heroes, brilliant military strategists, blunderers, spies, wives on the home front, Underground Railroad facilitators, surgeons, and journalists who took the highs and lows of the war to the public.